It’s official. The bowl cut is back. 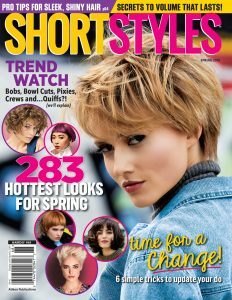 Yup, the signature haircut of Moe Howard of the Three Stooges in the 1930s is fashionable once again. The style has since evolved, though, with stars like Rihanna sporting it now. Want to try out the updated version? 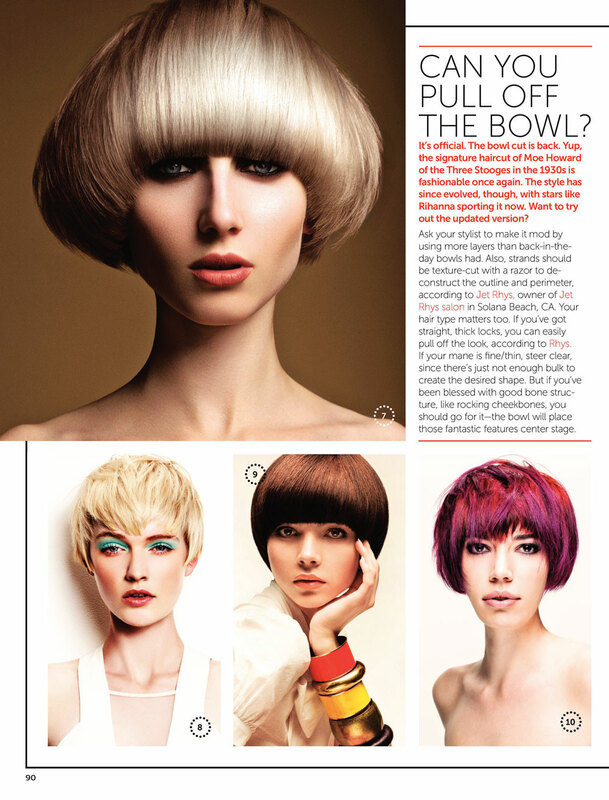 Ask your stylist to make it mod by using more layers than back-in-the-day bowls had. Also strands should be texture-cut with a razor to deconstruct the outline and perimeter, according to Jet Rhys, owner of Jet Rhys salon in Solana Beach, CA. Your hair type matters too. If you’ve got straight, thick locks, you can easily pull off the look, according to Rhys. If your mane is fine/thin, steer clear, since there’s just not enough bulk to create the desired shape. But if you’ve been blessed with good bone structure, like rocking cheekbones, you should go for it–the bowl will place those fantastic features center stage.